Suitable for iPhone 3G,3GS,4,4S, iPad 2/3. Type of cable:USB. Power indicator light. USB to Apple 30 pin connector. 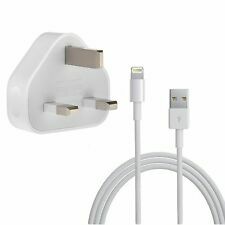 Genuine Apple Iphone 7,6,5,5s,Wall Charger And Lightning Usb Cable-A1399 . Condition is Used. Dispatched with Royal Mail 2nd Class. For iPhone3, 3GS, 4, 4S. - Para el iPhone3, 3GS, 4, 4S. USB Cable iOS Data Sync. - High quality USB cable. - Support all iOS. 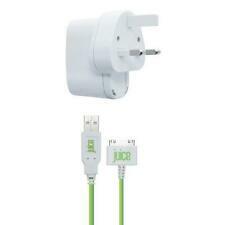 Genuine Juice Apple Certified Mains Wall Charger for iPhone 3 3G 4S & iPad 2 & 3. Dispatched with Royal Mail 2nd Class. Officially approved by Apple for exceeding their exceptional performance standards, the Juice range of high quality products provide fast easy charging. Power indicator light. USB to Apple 30 pin connector. Gizmodo on PowerBlock for iPad. 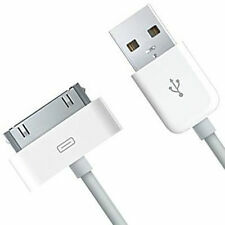 The included detachable cable can be used as an extra dock connector cable for iPod or iPhone. We pride ourselves on our reputation for ensuring all orders are quickly processed and despatched. iPhone Compatible Mains Charger. NEW. Officially approved by Apple for exceeding their exceptional performance standards, the Juice range of high quality products provide fast easy charging. 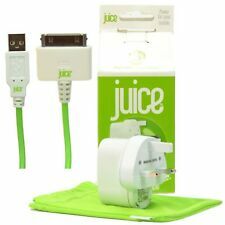 With a USB to Apple connector the Juice Apple Mains Charger is perfect for topping up the charge of your iPhone 3, 3GS, 3G, 4, 4S and iPad, iPad 2 and 3, iPad Nano. Compatibility - iPhone 3/3G/4/4S, iPad 1/2/3 and most 30-pin iPods. We will always help to sort out any problems. Genuine Apple Main Wall Plug Charger for all apple devices. 3.5 out of 5 stars - Genuine Apple Main Wall Plug Charger for all apple devices. 3 product ratings3 product ratings - Genuine Apple Main Wall Plug Charger for all apple devices. We always aim to acquire repeat custom so you can be assured of a great deal. 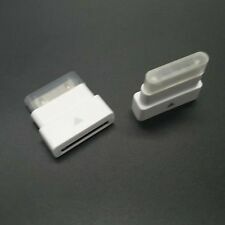 Receiver for iPhone 3G & iPhone 3GS. Compatible products: iPhone 3G/iPhone 3GS. 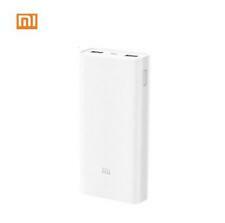 Output current: 830 mAh. The phone is safely held and in an ideal position to view incoming calls or texts. Designed in a sleek white finish, the Kit dock stand will look ideal on any desk or table. Compatible with iPhone 3G / 3GS. Works with all generations of iOS devices including iPod nano (7G), iPod touch (5G), iPhone 5. Also works with most Android, Blackberry or Micro-USB devices. Features: All connector compatible AC Power Adaptor. Brand new sealed item. Take a look at pics for compatibility. No returns. Wadap Smart All in One Travel Adapter Power USB Tipe-C For USA EU UK AUS - YouTube. Note: Wadap Travel Adapter DOESN'T support Type D, Type M, Type H (Such as, Big / Small South Africa, India, Israel). 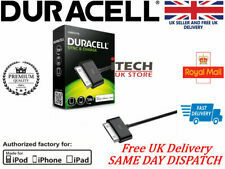 Compatible with: Apple Apple iPhone 3G 3GS. Condition is New. Good for collectors. SO GRAB A BARGAIN. COMPATIBLE WITH IPHONE 5 IPOD TOUCH IPOD NANO,IPAD,IPAD MINI. ITEM IS IN GOOD WORKING CONDITION. The In-Car Power Cord features LED Display ,12-24volts and is suitable for Nicad, NiMh and Li-ion Batteries. - iPad (1st, 2nd and 3rd Generation). - iPhone 3/3G/3GS/4/4S. Apple iPad 1,2,3,4, Apple iPod Touch & Nano, Apple iPhone 3 & 4., 1000% Happy With Item. Grade NEW Open Box. NEW / Open Box. BER (Beyond Economical Repair). Can Be Used for. We can only apologize for this, and hope this does not cause you any problems. For iPhone, iPhone 3G, 3GS. Apple iPhone 4, 4S. Apple original Dock. Boxed new and unused, Apple code MB484G/A. Our Condition Grading System is very simple. Peach iPod / iPhone 3g / 4 / 4s car charger (30pin). Condition is New. Dispatched with Royal Mail 1st Class Large Letter. 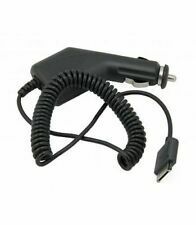 In Car Charger iPhone 3G/3GS/4/iPod Condition is Used. Dispatched with Royal Mail 1st Class Large Letter. This car kit is the ideal car solution for your Iphone, you won't be disappointed. Apple iPhone 4/4S, iPhone 3G/3Gs, iPod Touch, iPod Classic, iPod Nano, iPod Mini, iPad. Charging Interface: Lightning to 30-pin. Charging Source Type: Car. Color: White. 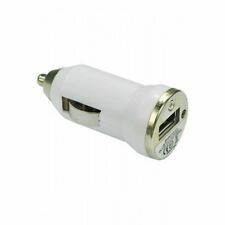 Compatible Models Output Current: 2 A.
HQ White USB car charger fits all smart phones and GPS devices.